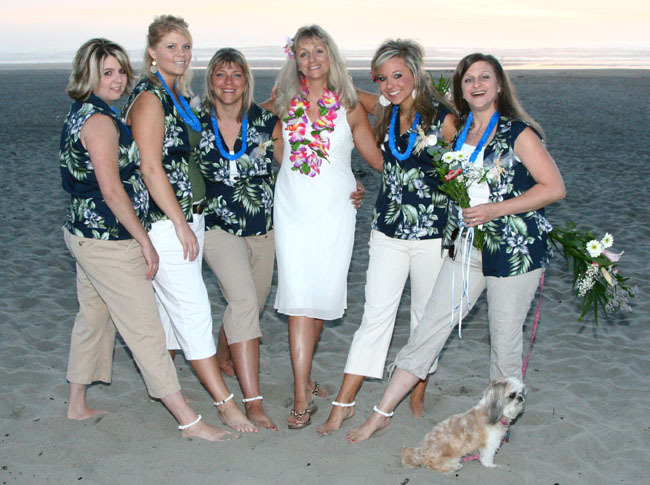 My name is Wendy and recently we had our wedding on the beach in Seaside Oregon, on Sept 9, 2006. It may not be Hawaii but we were more than pleased with how our wedding turned out and your shirts were the icing on the cake...just made it a most awesome beach wedding that we will never forget!! I am going to attach a couple pics to this email and also send another as the pictures are too big to upload into one email. I hope you will post them all to show what a wonderful day we all had...it was absolutely perfect and weather was awesome!! The bridal party consisted of my 2 daughters, 1 daughter in law and my 2 sisters and the groomsmen were my husbands best friends and cousin...all of whom looked awesome in your wonderful shirts. 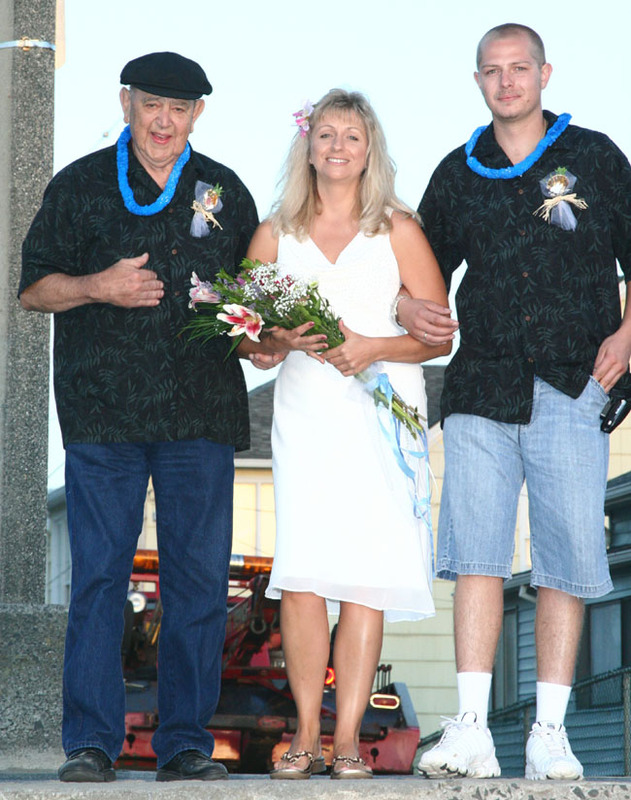 My son and my grandpa looked so handsome in their shirts when they walked me down to the beach and my little granddaughter was my flower girl and looked so sweet in her little dress, her picture is in the second email I am sending to you. Thanks for all your help with ordering your product. Thanks again for such a great product we loved your shirts!! !